One of the foremost American designers during the last two decades, Narciso Rodriguez plays a singular role in global fashion. 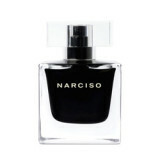 As Anna Wintour, editor in chief of American Vogue has said, “No one but Narciso has ever made a simple line look more stunning.” Today, Narciso Rodriguez’s fashion house is based in New York City where he shows his women’s ready-to-wear collections. 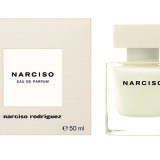 Narciso Rodriguez Musc is a floral woody musk fragrance for women, which features orange blossom, amber, musk, vanilla, osmanthus, woodsy notes, vetiver.